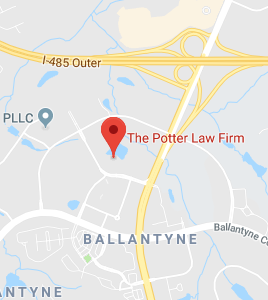 The Potter Law Firm proudly serves our friends and neighbors here in the greater Charlotte, North Carolina area. This vibrant city provides a spectacular quality of life on virtually every different level, and we genuine enjoy living and working in our shared global metropolis. There are so many good things to say about Charlotte it is hard to know where to start. When it comes to economic growth, our city is among the fastest-growing cities in the country. It is home to many different corporations, and it is a hub of the financial industry. Recreational opportunities abound here in the Queen City. Sports lovers can enjoy the Hornets and the Carolina Panthers, and Charlotte is a mecca of sorts for NASCAR fans. The NASCAR Hall of Fame is located here, and we also play host to two NASCAR Sprint races along with the NASCAR All-Star Race. Whatever you enjoy doing, you can do in Charlotte. Those who enjoy cultural enrichment can visit numerous different museums, including the Bechtler Museum of Modern Art, the Carolina Aviation Museum, and the Charlotte Nature Museum in Freedom Park. There are also many popular music venues, and local, regional, and national artists are always putting their talents on display. When you factor in the performing arts, the galleries, the restaurants, and the festivals, you are looking at a veritable cornucopia of culture. As Charlotte residents, we fully understand the needs of people in our area. When you become a mature adult and you start to take responsibility for your family, you invariably begin to take the matter of estate planning seriously. We are here to help, and we have assisted countless families in our area over the years. You deserve personalized attention when you are putting your estate plan in place. There is no one-size-fits-all, cookie-cutter estate plan that will be right for everyone. Your unique set of circumstances will dictate the estate planning strategy that is right for you and your family. It can be a bit intimidating to discuss your estate planning objectives with someone that you have just met, and we completely understand this, because we would feel the same way. Our attorneys take this to heart, and we endeavor to treat our clients the way that we like to be treated when we are sitting on the other side of the desk. There are many different tools in the estate planning toolkit. A last will can be acceptable when very simple circumstances exist, but in many if not most cases, a trust of some kind will be a better choice. For example, with a revocable living trust, you can include spendthrift protections so that assets that you are leaving to your loved ones are protected. Plus, you can allow for limited distributions over an extended period of time if you don’t want to leave lump sum inheritances that could be squandered quickly. There are different types of trusts that can satisfy more advanced objectives. We can help you understand your options and make the right choices. When you plan your estate, you should also address challenges that may come your way toward the end of your life. It is important to do this for your own purposes, but unanticipated expenses can consume the legacy that you would like to leave to your loved ones. About 25 percent of people who are 85 years of age and older are residing in nursing homes. Half of people who have reached the age of 95 are nursing home residents. According to the Social Security Administration, you will probably live until you are at least 85 if you live long enough to collect your full retirement benefit. When you combine the statistics, you can see that nursing home expenses could definitely enter the picture late in your life. Nursing homes are extremely expensive, and Medicare will not help with long-term care costs. Medicaid is the solution for many people, but you have to take certain steps in advance to qualify, because you cannot gain eligibility if you have significant assets in your own name. We help people here in Charlotte who want to protect their assets from devastating nursing home costs. If you are ready to put a custom crafted estate plan in place, we are here to help. To schedule a consultation, call us at (704) 944-3245 or send us a message through our contact page.